The sinus lift procedure, also known as maxillary sinus floor augmentation or sinus graft is a surgical procedure performed by specialized dentists that aims to add bone to the upper jaw of the patient when there is not enough bone available to support a dental implant. There are many reasons that lead to tooth decay and tooth loss which make it difficult in some cases to perform a dental implant. 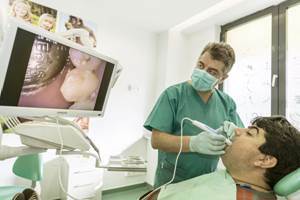 Depending on your particular case our dentists in Bucharest will carefully assess the need for a sinus lifting procedure. In order to determine the anatomy of your sinuses and jaws one of our dentists will perform a dental X-Ray. The sinus lifting surgery is performed by an oral and maxillofacial surgeon or by a periodontist. The sinus augmentation procedure begins with an incision into the gum, after which the lateral wall of the sinus is exposed. The surgeon continues by cutting into the membrane covering the sinus and lifting that membrane to make room for the placement of the bone graft material. The bone graft can be taken from the patient (autogenous), from a tissue bank (allogenic) or it can be made from synthetic materials. The sinus augmentation bone becomes part of the natural sinus floor bone in approximately six months. As any surgical procedure, the sinus augmentation can present a few risks, the most notable being a ruptured sinus membrane. 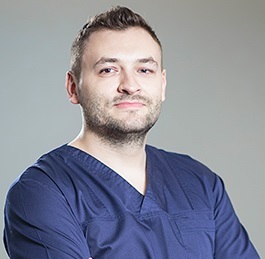 Our dentists in Bucharest will talk you through the stages of the surgery and will follow-up after the procedure to make sure that there are no complications. Local anesthesia is used for this procedure. Sinus lifts have become more popular when the demand for dental implants started to grow. They are common procedures that are not expected to affect the sinuses, breathing or cause allergies. The sinus augmentation procedure is one of the most successful bone grafting procedures that can be performed for dental patients. A sinus lift can be your best option for a successful dental implant. You can call our dentists in Bucharest for more information about the procedure and to find out whether or not it is right for you. One of our doctors will also be able to provide more details about the products used, like Zimmer implants. 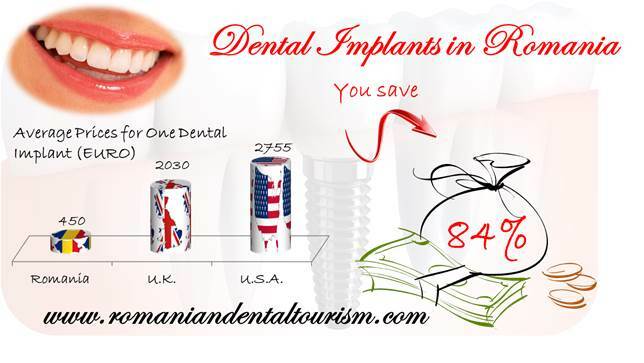 If you are interested in dental travel in Romania and are considering other treatment options, you can check our services page.